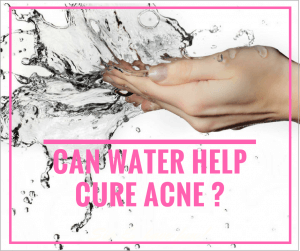 How water can help cure my acne? While there is no scientific evidence to prove that drinking water has any direct impact on acne, increasing your intake of what is often referred to as the elixir of life, does have multiple benefits when it comes to skin health and the maintenance of a youthful appearance. You’ve no doubt heard the saying that our skin can tell us a lot about what’s really going on inside our bodies and that by increasing your daily water intake, you’ll be able to flush out any unwanted toxins and significantly reduce puffiness under the eyes. But will drinking more water have a direct benefit on your acne? We wanted to take a look at the facts and dispel the myths that far too many people are still believing to be true. Why does the body need water? Our bodies are made up of up to 60% water and need to maintain a certain level of it to survive. Water not only helps to keep our temperature regulated and muscles lubricated, it’s also plays an essential role in the maintenance of internal functions such as digestion and cellular performance. With our brains containing an estimated 75% of water, it’s no wonder that keeping our fluid intake high is believed to be associated with how sharp and focused we are. Supporting the theory that water is essential to sustaining good health, but can it’s benefits be directly linked to the reduction of acne? As we go about our daily activities our skin is subjected to a number of factors which affect how it looks. Water can be lost as a result of simple actions such as sweating, breathing, urinating and the digestion of foods. When you also factor in other elements that can wreak havoc with our skin i.e. the over-exposure to harmful UV rays, smoking, environmental pollutants, the drying effects of office air-conditioning the importance of effective skincare becomes necessary. Not to mention the consumption of popular diuretic drinks such as alcohol, soft drinks and caffeine which all steal water from your body and contribute towards acne by unbalancing your hormones. When your dealing with acne prone skin, one of the most common misconceptions I come across when working with new clients is the belief that it’s not necessary to moisturise daily due to the fact that the skin is already producing too much oil. And that the use of harsh exfoliators and cleansing products which strip the skin of essential natural oils, will be the solution to eliminating acne. Unfortunately this can’t be further from the truth, as by not providing your skin with the protection and ingredients it needs to function, dryness, inflammation and sensitivity will only get worse. Which skincare products help moisturise oily skin without making acne worse? Let’s be clear sebum should never be thought of as a replacement for your moisturiser, because it doesn’t hydrate the skin, but instead has the ability to lock in moisturizer and leave the epidermis (top layer of skin) feeling smooth on a temporary basis. By avoiding moisturising your face all that will happen is that the oil glands which produce sebum, will go into overdrive in order to compensate for the trans epidermal water loss and lack of moisturiser in the skin. 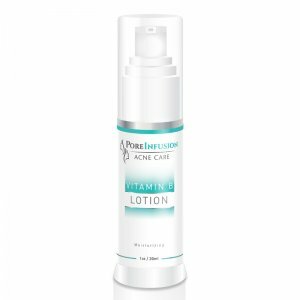 At Envision Acne and Skin Care Center, we don’t only support our clients with results driven acne treatment programs , we also focus on the maintenance of skin care with results driven acne products. Topical products when containing the right ingredients to support acne can have a very positive outcome. While they can’t assist with how our cells function, or repair any damage to cell membranes or connective tissues deep within, they can keep our acid mantle strong and support its function as a barrier to protect against bacteria and other harmful contaminants, which could potentially cause further harm to the skin. 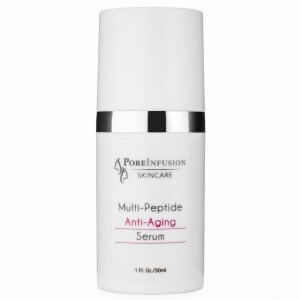 Moisturising serums and lotions such as our PoreInfusion Vitamin B lotion have been specifically formulated to be lightweight in texture and are infused with ingredients such as panthenol (B5) which is a deeply penetrating natural humectant which moisturizes the skin’s surface, reduces pore size and acts as a natural anti-inflammatory. 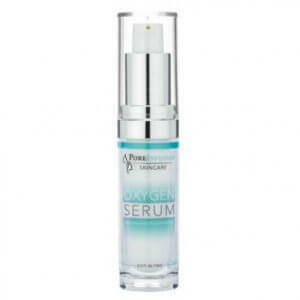 Likewise our Oxygen Serum contains a conditioning agent called perfluorodecalin, which diffuses large volumes of oxygen into the pores to help the skin to breathe, while increasing moisturizing efficacy and speeding up the healing process. Our Hydra Gel containing hyaluronic acid acting as an instant moisture binder and hydrating agent is the best way to replace water in dehydrated skin. Will drinking more water get rid of my acne? Let’s start by putting an end to one of the biggest skincare myths around which is that drinking water will help to directly cure acne. If this were the case why are 50 million Americans a year still suffering from acne? In order to help our bodies retain water and repair damaged cells, we need to not only drink our water but also ‘eat it’. And by that I mean consume a diet rich in good fats, proteins (which help to manufacture collagen and elastic), anti-oxidants and supplements, all of which help to retain water at an intercellular level. By reducing internal inflammation and supporting your skin’s health with topical skin care products you can achieve clear, beautiful skin. So how can you help your body to retain more water and keep acne at bay? Eliminate foods such as sugar and gluten, that feed the build-up of yeast and candida in your digestive tract and can contribute towards inflammation of the intestinal tract. Avoid consuming hydrogenated oils and bad fats, instead opting for good fats in products such as those contained in salmon, flax and coconut oil, which contain anti-microbial properties. Limit your dairy intake, as milk contains hormones such as insulin-like growth hormone (IGF-1) which is believed to potentially aggravate oil glands. Increase your intake of raw fruits, vegetables and antioxidants which have the ability to gradually release water into your body. Opt for foods rich in fiber and protein as they have the ability to kill bad bacteria, balance blood sugar levels and produce more collagen. Flax seeds, almonds, chia, organic lean meats, beans, wild farmed fish and eggs are good options. Incorporate probiotic supplements, essential trace elements such as zinc and enteric coated Omega fish oils which help to reduce inflammation. In summary while water alone can’t cure acne, it does play a significant role in helping to keep unwanted blemishes and inflammation at bay. By eliminating toxins and keeping our internal organs and cells lubricated it will also help maintain radiant skin. If our cells are dehydrated they can’t function properly and over time this leads to damage that will be reflected in our skin. 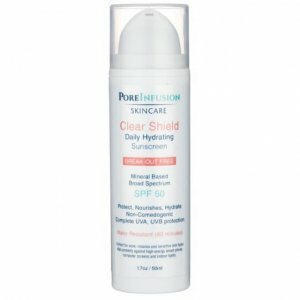 The daily use of hydrating skin care products designed for oily skin, frequent trips to your acne skin care specialist such as Envision Acne and Skin Care Centre in Manalapan, New Jersey and the addition of foods rich in water and essential nutrients which will all help to address acne concerns and provide effective long term solutions. If you’d like to find out more about our acne treatments and online virtual consultation services book a consultation call with us today, as we’d be delighted to discuss your options. Do you need expert skin care advice from a licensed esthetician/acne specialist? Schedule your appointment for a consultation today to get personalized advice on products and treatments that are right for you. 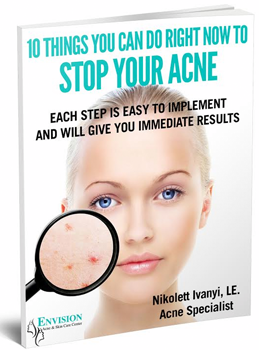 Please note that all blog posts and content created by Envision Acne and Skincare Center are not intended to be used as medical advice or as a substitute for it and are designed for your information and educational awareness only. We always recommend that you consult with a medical practitioner regarding any health or skincare issues you have, as they may wish to carry out a full health assessment before recommending you to a licensed aesthetician and acne professional.